With high-level reliability, accuracy, and terminal performance, it’s no surprise that more law enforcement officers choose Speer ammunition than any other brand. 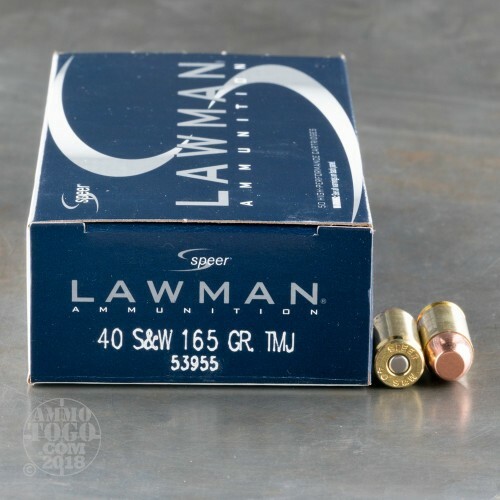 Speer’s Lawman line was engineered to deliver the same feel and point of aim as their premium duty rounds, providing an excellent and practical load for target training and tactical practice. An ideal option for the high-volume shooter, this package contains 1000 rounds of Speer Lawman .40 Smith & Wesson ammunition. Each round is loaded with a 165 grain total metal jacket (TMJ) projectile. 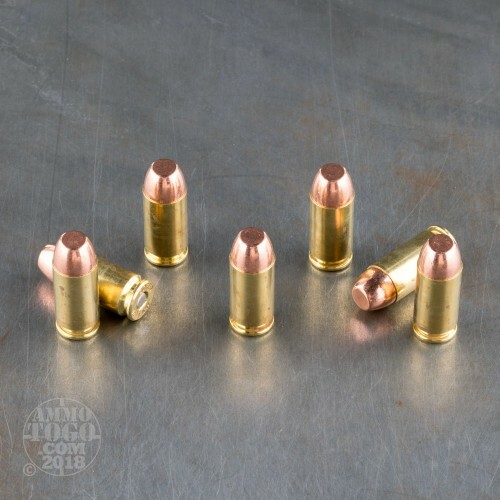 Delivering deep penetration with minimal terminal expansion, these loads are best suited for target shooting. Each round produces a consistent muzzle velocity of 1150 feet per second with a muzzle energy of 484 foot pounds. 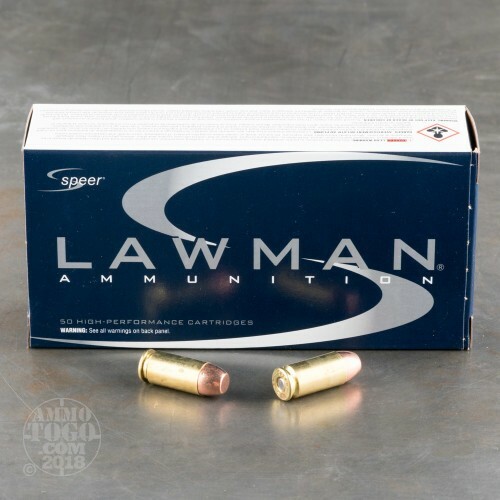 Speer Lawman uses only the highest-quality components, including clean-burning propellants, CCI primers, and reloadable brass cases. The result is consistent pressure and velocities, excellent down-range accuracy, and reliable performance with every pull of the trigger. 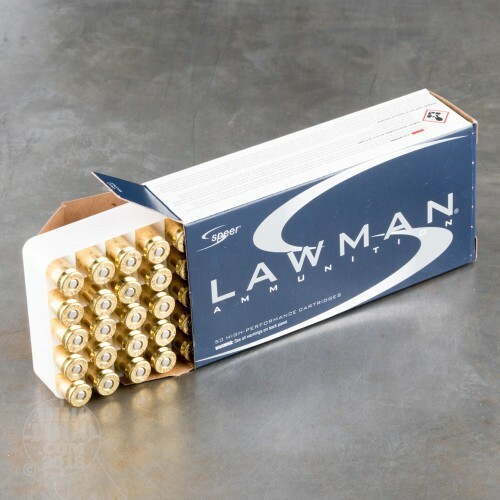 This ammunition comes packed in 50-round boxes, with 20 boxes in each case.